NBC has released its new announcing crew for the upcoming second season of the Spartan: Ultimate Team Challenge TV show. Season two premieres Monday, June 12, 2017 at 10:00pm ET/PT. Olympian Apolo Ohno and ESPN’s Kelvin Washington will be making the play-by-play commentary. MLB all-star Nick Swisher will report from the sidelines with returnee MJ Acosta. 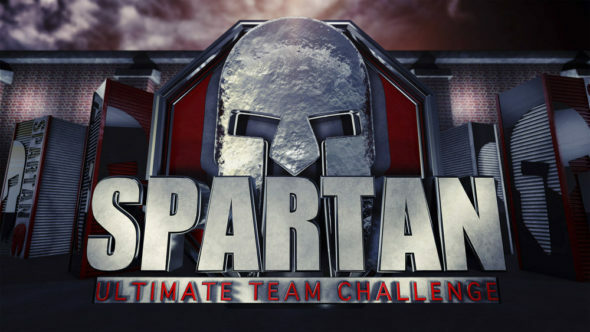 Learn more about season two of Spartan: Ultimate Team Challenge from this NBC press release. Decorated U.S. Winter Olympian Apolo Ohno and ESPN and radio personality Kelvin Washington will deliver the play by play action to audiences as the teams race through the demanding course. MJ Acosta returns as a sideline reporter alongside Major League Baseball all-star Nick Swisher, who joins “Spartan: Ultimate Team Challenge” following a 12-season career that included a World Series championship with the New York Yankees. Inspired by Spartan Race — the creators of the world’s most demanding obstacle course races — “Spartan: Ultimate Team Challenge” takes team competitions to a new level. Groups of friends, families and co-workers are put to the ultimate test as they attempt to complete a grueling half-mile Spartan course packed with never-before-seen obstacles designed to challenge the will and endurance of all who attempt it. Shot at night with an industrial backdrop, each team will compete on one of the most punishing courses ever devised and must push through the pain to win $250,000. In each episode, six teams of five — four athletes alongside the support of a team captain — will compete. No team can get through the course and reach the finish line without working together. From rope-burning climbs to crawls through cold, wet mud, the competition culminates with some of the most back-breaking obstacles ever built. Along the course teams will encounter the relentless tire swing and the dreaded slip wall, plus the debut of rigorous new obstacles that have never been seen before in any competition. Last summer, “Spartan: Ultimate Team Challenge” averaged a 1.3 rating, 5 share in adults 18-49 and 4.2 million viewers overall, according to “live plus seven day” averages from Nielsen Media Research. “Spartan” ranked #1 or #2 in the time period with each of its three special Monday telecasts in adults 18-49 versus ABC and CBS competition. It was a strong upscale show, indexing at a 118 among adults 18-49 living in homes with $100K+ incomes (with 100 representing an average concentration of those homes). NBCUniversal International Formats is the global distributor of the “Spartan: Ultimate Team Challenge” format. “Spartan: Ultimate Team Challenge” is executive produced by the “American Ninja Warrior” team of A. Smith & Co. Productions’ founders Arthur Smith and Kent Weed. Brady Connell also serves as executive producer alongside Joe DeSena and Jeffrey Connor from Spartan Race Inc.
What do you think? Are you a fan of the Spartan: Ultimate Team Challenge TV show? Do you plan to catch the second season on NBC?